DO YOU HAVE YOUR NEW CLOTHES, SCHOOL SUPPLIES, IMMUNIZATIONS? Getting your child all their vaccinations on time is one of the most important things you can do as a parent to ensure your children's long-term health -- as well as the health of friends, classmates, and others in your community. To keep children in schools healthy, your state may require children to get vaccines against certain diseases before going to school. If you're unsure of your state's school requirements, now is the time to check with your child's doctor, your child's school, or your health department. That way, your child can get any needed vaccines. 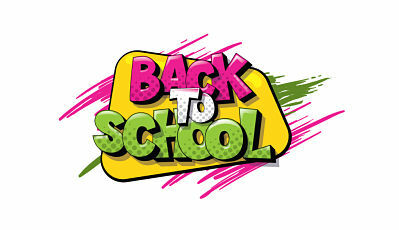 Ensure your child is up-to-date with all vaccines before the first day of school, avoiding the back-to-school rush. Remember that influenza can be deadly in children. Even though a flu shot isn't required by your child's school. Again, check with your family physician for guidelines. As kids get older, they are still at risk for certain diseases. Before heading back to school, these vaccines are recommended for 11-12 year olds -- Tdap, and meningococcal conjugate vaccine -- for continued protection. For other diseases, like whooping cough, the protection from vaccine doses received in childhood fades over time. That's why 11-12 year olds are also recommended to get the booster shot called Tdap to help protect them from whooping cough, tetanus, and diphtheria. Quadrivalent meningococcal conjugate vaccine protects against some of the bacteria that can cause infections of the lining of the brain and spinal cord (meningitis) and bloodstream infections (bacteremia or septicemia). These illnesses can be very serious, even fatal. Use the Vaccination Schedule that the CDC has published on their website. If you are not sure what vaccine your child needs, the handy reference guide can help you keep on track. Or call your local physician or health department. They can also tell you what vaccines your child should have. Keep a secure vaccination record. You should always have a record of your children's immunizations. A copy given to the health department or your physician would be helpful and allows another place to store that information. Be prepared to comfort your child. Don't tell them you are taking them for ice cream and then show up for a shot. Let them know it will sting for a brief moment and then it will be done. Help them recover quicker. As long as your child is not running a high fever or having other serious issues, soaking them in a warm bath or giving them Tylenol after their shot can help the achiness go away. If your children haven't already gotten their vaccines, you should get them caught up as soon as possible. Getting every dose of every recommended vaccine provides children the best protection possible. If your child misses a shot, your child's healthcare professional can help get them back on track. Because preteens and teens typically see their doctors or other healthcare professionals for physicals before participation in sports, camping events, travel, and college there are many opportunities to get your teen caught up on vaccines. To learn more about vaccines for your school age children, talk to your child's healthcare provider, the health department or call one of the physicians at Sabetha Family Practice at (785) 284-2141. Be Wise and Immunize -- Protect Your Children and the Children Around Them.